Tom Sachs, Nutsy’s (Unité d’Habitation detail), 2002–2003. Installation view, Bohen Foundation, New York. Courtesy of Sperone Westwater, New York. Photo-essay by Marcus Schubert of architecture brut with introduction by Andrew MacNair. Photograph titled Renovation by Rocky Schenck. 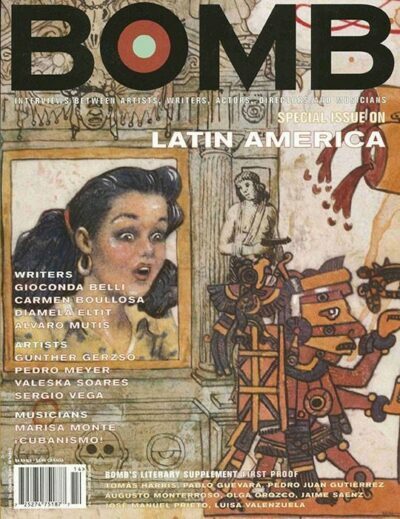 Featuring interviews with Damiela Eltit, Alavaro Musis, Carmen Boullosa, Gioconda Belli, Sergio Vega, Gunther Gerzso, Valeska Soares, Pedro Meyer, Marisa Monte, Cubanismo!, and Ned Sublette.